Immerse yourself in a world of 20,000 aquatic animals and discover your own underwater adventure in the heart of downtown Toronto. Ripley’s Aquarium of Canada features North America’s longest underwater viewing tunnel with more than 5.7 million litres of water and over 100 interactive opportunities. Get up close and personal with several touch exhibits and soak in a live dive show daily. This awe-inspiring attraction consists of nine carefully curated galleries showcasing a cross section of saltwater and freshwater environments from around the world; starting with species from Toronto’s backyard, the Great Lakes basin. From the heart-pounding experience of Dangerous Lagoon, a football-field length acrylic viewing tunnel with moving glide-path sidewalk through sharks, green sea turtles, sawfish and moray eels; to the hypnotic dance of Pacific sea nettle jelly fish which are illuminated in an array of breathtaking colours from within the kreisel tank at Planet Jellies, Ripley’s Aquarium of Canada will captivate Torontonians as well as guests from around the world! Conserve, educate, and inspire! 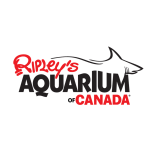 At Ripley’s Aquarium of Canada, our mission is to provide a world class experience that will foster education, conservation, and research, while providing fun and entertainment for locals and tourists of all ages. By showcasing the beauty and significance of our aquatic world and the animals within it, we will both entertain and inspire while encouraging you to respect and protect the waters of the world.